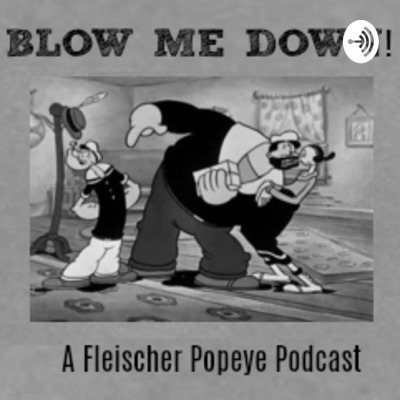 Episode 1: Introduction to our Popeye podcast! A loving look at the Popeye theatrical cartoons made by Max and Dave Fleischer from 1933 to 1942. Overviews of the 1934 Popeye cartoons A DREAM WALKING, THE TWO ALARM FIRE, THE DANCE CONTEST, and WE AIM TO PLEASE. Overviews of POPEYE THE SAILOR MEETS SINDBAD THE SAILOR, POPEYE THE SAILOR MEETS ALI BABA'S FORTY THIEVES, and ALADDIN AND HIS WONDERFUL LAMP. Overviews of the Popeye cartoons CAN YOU TAKE IT?, SHOEIN' HORSES, and SHIVER ME TIMBERS! Overviews of the Popeye cartoons WILD ELEPHINKS, SOCK-A-BYE, BABY, and LET'S SING WITH POPEYE, as well as an announcement about our Popeye blogathon. What do the one-eyed sailor and The Fab Four have in common? Listen to us, and find out! Overviews of I EATS MY SPINACH and SEASIN'S GREETINKS! Including our Popeye Pledge, and an overview of Popeye's 1933 movie debut, POPEYE THE SAILOR.